Masquerade Motel – Mondays at Pacha, Ibiza! Nothing is what it seems in this Motel. From the outside you could confuse it with a hotel on sunset strip or highway 99…frequented by movie stars behaving badly, bank robbers on the run and couples catching an hour between marriages..
As you pick up the mask and place it on your face it feels warm..like it is connected and your body starts to relax and feels so awake you feel you will burst. As you near the door your subconscious realises there are other rooms to the left and right. Dark shadows move and yet you feel no fear. Something inside you knows every element of what happens in this hotel is about pleasure and euphoria. You set your mind to explore every room. As you stand in front of the door…..your hand poised to turn the handle….your heart pounding ….the door opens of its own accord welcoming you in. The heat of the room hits you like a warm embrace, the music covers you…loud and yet clear….synched with your heartbeat as the room moves together as One. Swedish House Mafia are pleased to announce they will coming back to the 02 Academy Brixton! After their two record breaking sell out shows in November, The Swedish House Mafia return to O2 Academy Brixton on May 28th and May 29th. To be the first to know when… log onto the MySpace and register on the mailing list and we’ll let you know before anyone else… Click HERE to subscribe. 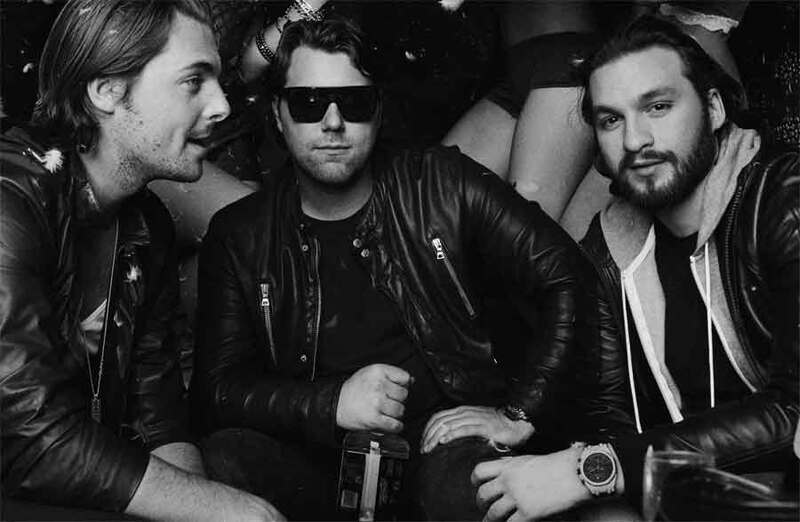 If you are lucky enough to be attending Miami WMC, Swedish House Mafia will be playing altogether only once. Appearing exclusively on the main stage of Ultra Festival on Saturday March 27th. For their first festival appearance of 2010 the boys are raising the bar and will be joined by the platinum selling Florence and the Machine. Click HERE for more info. Aside from this huge festival performance the boys are playing/hosting a range of events at WMC, check out Axwell’s, Angello’s and Ingrosso’s MySpaces for information and tickets! Steve Angello, Sebastian Ingrosso, Florence and the Machine, Kim Fai & AN21… All over Mansion for a one off extravaganza plus more live guests to be announced!!! The legendary Sunday night – Axwell & Bob Sinclar return to Miami!! It’s become tradition these two guys close Miami WMC in Rock n Roll fashion! !